In this article, you can see some top apps which are very useful to edit videos on your iPhone and iPhone. If you love creating your own movie like professionals, these video editing apps would be very useful for your iOS device. In this article, we’ve listed only some featured rich video editors which can be used to edit your video clips or movies easily on your iPhone or iPad. You can view here a list of useful video editing apps for iPhone and iPad. In this article, we’ve selected some powerful video editing apps that are really useful for editing purpose. If you are a creative user, these apps could be very useful to edit your video like professionals. With the help of these apps, you can easily create videos like movie. Okay here is the list of useful video editing applications for your iPhone and iPad. 1. Magisto – Magical Video Editor ( iPhone & iPad. ) – If you are looking for free app to edit your videos, Magisto could be the best option for your iPhone. Magisto is a free video editing app for iPhone users that comes with tons of features such as such as editing tools, video effects, filters , facial recognition technology, in-built video camera, and many other features. You can also add more features by subscribing premium features. Very useful video editor for iPhone that comes with easy to use interface. 2. 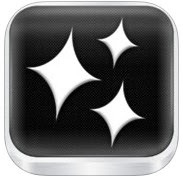 Vizzywig 4K ( iPhone & iPad ) – Vizzywig is an expensive video editor but very powerful for professional purposes. If you are looking for powerful and fully functional video editing app to edit or create high quality videos on your iPhone or iPad, you can try Vizzywig. Vizzywig is integrated with tons of features that can only be found in few top apps such as – powerful video editing tools, facial detection feature, photo snapping option while recording, multi camera clips from a single device, background music track adding option, fully customizable video editing features, video sharing option and many other functions. If you are a creative user and looking for professional video editing app for your iPhone or iPad, you must try Vizzywig. 3. iMovie ( iPhone & iPad ) – Fully functional video editor for iOS devices that comes with lots of functions which help you make high quality videos easily. If you love editing movie or creating own movie, iMovie could be the best option for your iPhone or iPad. 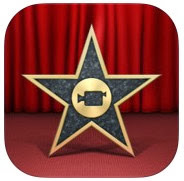 iMovie helps you make beautiful HD movies easily on your iDevice. Very powerful movie maker that has lots of features such as fully functional editing tools, movie themes, Hollywood style movie trailers, media organizer , video sharing function and many other useful features. 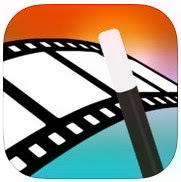 Great movie maker for iPhone, iPad and iPod. 4. VivaVideo ( iPhone ) – If you are looking for a powerful video editor for free, try Viva video app on your iPhone. VivaVideo comes with many options such as free video editor, photo movie maker and slideshow maker. With the help of VivaVideo, you can easily add professional video effects to your video clips and make them like professional movies. Powerful video editing app that has tons of features including video FX, animated stickers, video filters, text effects, music, filters, video transitions and many other features. Very useful app for creative users. 5. Videolicious ( iPhone & iPad ) – Videolicious is a great free app that helps you make professional videos easily. With Videolicious, you can easily create own movie by combining photos, videos, music and stories. The app comes with some useful features such as – multiple videos and photos filtering option at once, music or narration adding option, social and email sharing option and free cinematic soundtracks.